HMR Auctions Services, Inc. Sucat Branch focuses on outsourcing consignors or dealers to sell their unwanted or over stock vehicles thru live auto auction. We allow them to consign the vehicle andprovide minimal car maintenance and minor repair on the consigned vehicle to remain on the lots for 90 days as agreed in the terms and conditions provided on the Consignment Agreement. Live Auto Auction happens (1) once every month to give us ample of time to promote the event and to invite bidders to join. In order to join the live auto auction, bidders must register and pay the consumable/refundable bid deposit amounting to 30,000/vehicle if and when the bidders wanted to purchase more vehicle he/she needs to show proof of ability to pay for more than one (1) vehicle. 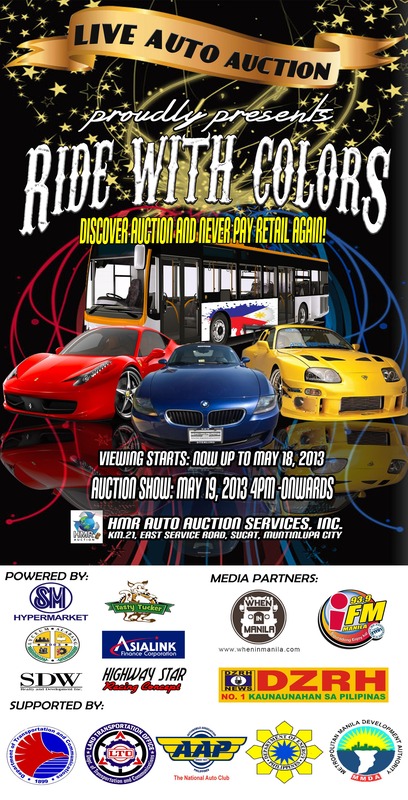 HMR Auction Services Inc. is proud to announce the forthcoming Live Auto Auction event with a theme “Ride with Colors” to be held on May 19, 2013 at km.21 HMR East Service Road, SucatMuntinlupa. Kick-off event is on May 18, 2013, 4pm – onwards, exciting activities and entertainment are lined up. Over 200 Brand new and used cars from our consignors are on display, we are expecting hundreds of bidders to participate on the auction and thousands of guests to witness this unique and exciting event. HMR Live Auto Auction is near! For those who haven’t register or those who have registered but haven’t paid the consumable/refundable bid deposit yet. 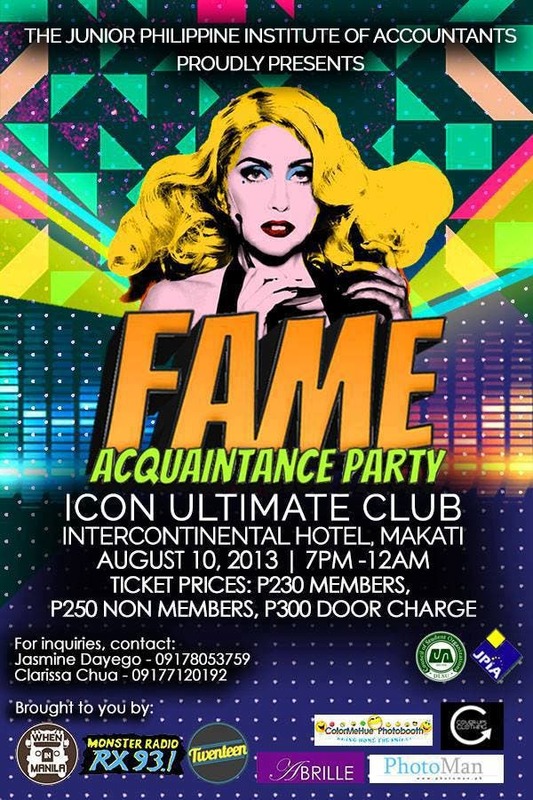 Avail the Early Bird Special Discount! Register now until May 18, 2013 Entitles you to 0% on Buyer’s Premium. To download the registration form and to know more about the auction process, email us at hmrautoauction@­hmrphils.com or visit our website www.hmrauctions@­hmrphils.com. For more information, you may call us at (02)710-7844/ 6461646 / 09239044638 / 09174634970 / 09175303911, call us at (02)624-1646 / 710-7844 / 09174634970 / 09175303911. 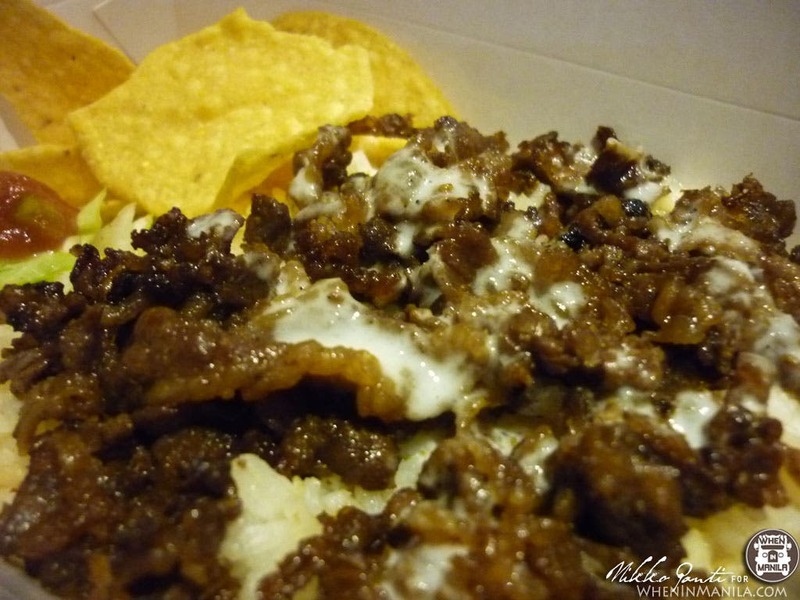 Cucina Andare's Weekend Food Madness!